[Weekender] What effect does boyangsik have on your body? Amid the blistering summer heat, people are opting for healthy food to boost their energy and get their appetite back. From samgyetang to roasted eel, Korea has diverse summer dishes passed down from generation to generation, called boyangsik, or food that strengthens the body. However, boyangsik could have unintended effects, such as sapping one’s energy, if the food does not match with the person’s body type, according to an oriental medicine expert. “Each individual is born with different physical and emotional traits depending on their body types,” said Lee Jun-hee, a professor at Kyung Hee University Korean Medicine Hospital, in an interview with The Korea Herald. Lee’s explanation is based on the four body types classified by Sasang Constitutional Medicine. This particular field, often dubbed “Sasang Typology,” was first systemized by the oriental medicine scholar Yi Je-ma in his book “Longevity and Life Preservation in Eastern Medicine” published in 1894. The system divides people into four body types, Soyang, Soeum, Taeyang, Taeeum, depending on their appearances, personality and health conditions. 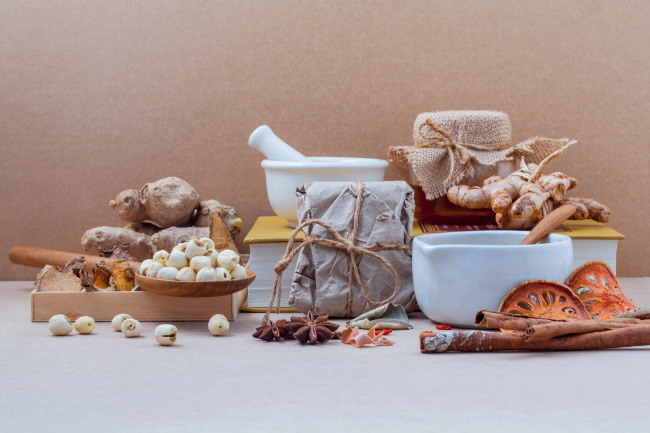 Oriental medicine classifies food ingredients based on their warm or cool energy. The classification is not based on the temperature of the ingredients, but looks at how bodies react after eating certain food. For example, when people eat ginger, which contains warm energy, their bodies would be heated up. “People eat boyangsik to replenish something they lack in their bodies, but the deficiencies can differ by each person’s body type,” Lee said. “If the energy contained in the food collides with one’s body type, it could even harm the person’s health. To enjoy boyangsik in a balanced way, people should know their body types before eating such food,” Lee said. As the typology system has been widely practiced in Korea, there are some quick tips for ordinary people to figure out their body types. According to these tips, there are specific physical tendencies that each body type shares in common. 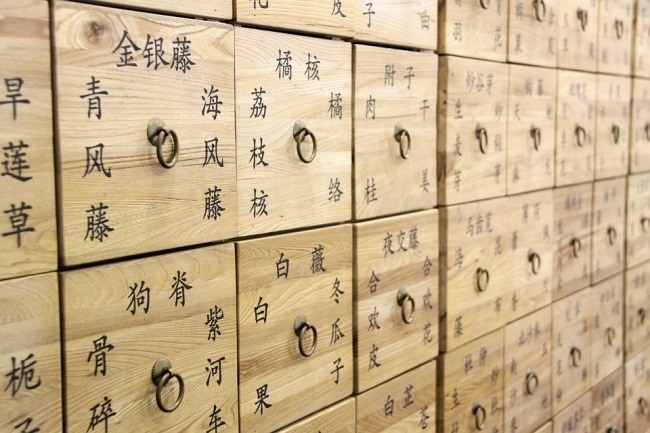 To find out one’s exact body type, however, Lee advised people to see a doctor and take tests designed by professional oriental medicine experts. The following are a list of boyangsik recommendations based on body types. People classified as the Soyang type tend to have muscular upper bodies and slim lower bodies. About 30 percent of Koreans fall under this category, according to Sasang Constitutional Medicine studies. Such people have a lot of heat in their bodies, so they should avoid food that contains warm energy such as chicken, garlic, honey, pepper, chili and ginseng. Instead, pork, duck, oyster, abalone and watermelons are recommended, as these are believed to be effective in cooling down one’s body. If those of the Soyang type consume too much boyangsik that contains warm energy, they could suffer from a severe headache, a stuffy feeling, insomnia, constipation and shoulder discomfort. Soeum-type people tend to have slender and balanced body shapes and a calm temperament. As they have a weak digestive system and lack stamina, it is essential to keep their bodies warm to stay healthy and energetic in summer. In contrast to Soyang, they should eat food that warms their bodies, such as chicken, ginger and sticky rice. Food that contains too much moisture or cool energy could lead to the Soeum people’s going through digestive symptoms, such as indigestion, a loss of appetite, diarrhea and lethargy. Taeeum is the most common body type among Koreans, with about half of them believed to be of this category. As Taeeum-type people tend to accumulate energy inside their bodies, many have excessive belly fat and sweat a lot. No particular food is good or bad for these people, but oriental medicine doctors advise cutting down their diet to stay healthy in summer. Ingredients that contain high protein and low fat are recommended, while late-night meals and greasy food should be avoided. Taeyang is the rarest type among Koreans. They tend to have a big head, broad forehead and shining eyes. Their waist and legs are relatively weaker than other types, so Taeyang-type people usually cannot walk or sit for a long time. Unlike the Taeeum category, they lose energy at a fast pace as they have a high metabolism, especially in summer. They should stay hydrated by drinking water and avoid oily and spicy food. Seafood and vegetables are highly recommended. If they consume too much protein and fat, however, they could suffer from nausea and low urine output.